← The History Of The "N" Word………..
A sad anniversary approaches—the 25th anniversary of the fatal shooting of Daniel Faulkner. Mumia Abu-Jamal, a former member of the Philadelphia branch of the Black Panther Party who was convicted of the crime in 1982, has been under lock and key for 25 years this month. The NNPA News Service originally distributed this story in December 2001. Here is the full version, with some pictures added from the Web. For the record, I did try to find Maureen Faulkner at the time. I was unsuccessful. Special thanks to Linn Washington for making this story happen. There have been some changes since this story was published. Lydia Barashango’s husband, the Rev. Ishakamusa Barashango, joined the Ancestors. Abu-Jamal has written two more books since this article. (Here are links to all of his books thus far.) And to the relief of many of his supporters, Abu-Jamal’s legal team and strategy have significantly changed. Meanwhile, you might find this interesting. PHILADELPHIA (NNPA)—A poster of Mumia Abu-Jamal, Philadelphia radio newscaster-turned-international death penalty cause celebre, hangs at a gathering of relatives in a local hotel suite. The name Edith Cook, Abu-Jamal’s late mother, was called. They had gathered in her name, proclaimed Rev. Barashango, “because everybody in here is either related to her. And if not directly related to her, spiritually related to her.” She died during Abu-Jamal’s second decade in prison. It was the day after Thanksgiving, and Lydia had organized a get-together in Philadelphia to renew family ties, begin discussions about purchasing a family estate outside of the city, the making of a family quilt, and updating all about the latest in Abu-Jamal’s case. 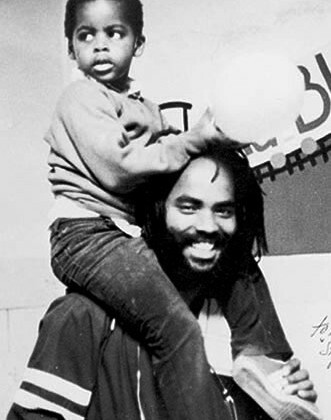 Next Sunday will mark the 20 years behind bars for Abu-Jamal, the 47-year-old former Black Panther. He is on death row in Waynesburg, Pa. for the killing of Daniel Faulkner, a White police officer, on the early morning of Dec. 9, 1981. Abu-Jamal and Faulkner were shot after the former journalist tried to stop a confrontation between his brother, William Cook, and Faulkner on a Philadelphia city street early in the morning of Dec. 9. Faulkner died at the scene. Abu-Jamal’s family continues to fight to prove his innocence while seeking to live normal lives. It’s a difficult balance to maintain. Although they have not been behind bars, his relatives have also been locked up—chained to the country’s best-known death row prisoner by blood and by choice. The feeling of suspension, with strong tinges of fear, permeates the air around the family of the man born Wesley Cook. Abu-Jamal has four brothers—Keith, Ronnie, William, and his twin Wayne-and a sister, Lydia. He has three children-Jamal, Lateefa and Mazi (Mumia’s hyphenated Arabic surname means “father of Jamal.”). 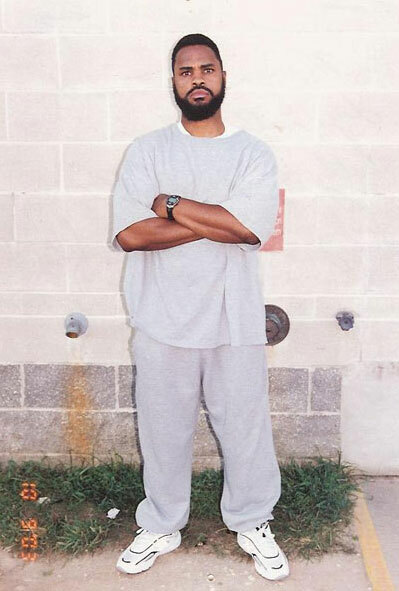 Jamal, the oldest of the trio and one of the most outspoken family members, has his own wait; he is serving a near 16-year sentence on weapons possession. Lateefa and Mazi were able to attend the post-Thanksgiving family meeting. Mazi—a tall, dark-skinned man with his father’s build, presence and smooth baritone—made a rare visit to the city for the family. Lateefa, more petite than her older brother, lives in Philadelphia. Both display a sense of directness and reserve. Abu-Jamal’s only daughter Lateefa is married with two children. Lydia’s husband, Rev. Barashango—pastor of the Temple of the Black Messiah, an African-centered interfaith church in Philadelphia—performed the wedding ceremony. Then he talked not about one of the world’s most famous leftist causes, but about his little twin brothers and a family charge. “When we (Lydia and I) were younger, we were given the twins” by their mother to watch over and take care of, he says, struggling to maintain his composure. Keith then recalled that his mother made Wayne’s well-being Lydia’s responsibility, while Keith was given Wesley. Abu-Jamal’s legal team earlier this year produced an affidavit from Arnold Beverly, a man who says he was hired by the mob to kill Faulkner because the White police officer had been interfering with department-approved mob activity on Faulkner’s beat. Abu-Jamal’s 1982 prosecutors, his former legal team, and a city judge all have dismissed Beverly’s claims. Lydia recalled how in the first years after Abu-Jamal’s 1982 conviction, she battled her journalist brother using his favorite weapons—pen and paper. “Get your [explicative] out of there and come on home,” she wrote. “I don’t want my brother to be a martyr.” She was so mad she didn’t visit or write him for two years. “I thought that he could say something to make the system let him go,” Lydia says. She says she knows better now. “He responded as if nothing ever happened,” Lydia recalled when she re-established the relationship. The family talks more about battling the American justice system than Maureen Faulkner, the slain officer’s widow. Lydia claims Faulkner knows Abu-Jamal is innocent and is allowing herself to be used as a “poster child” for wives of police officers. The widow and the Fraternal Order of Police have made the same charges about Abu-Jamal’s supporters. They claim Abu-Jamal’s supporters know he’s guilty and are using the author of three books as a poster child of the radical left. 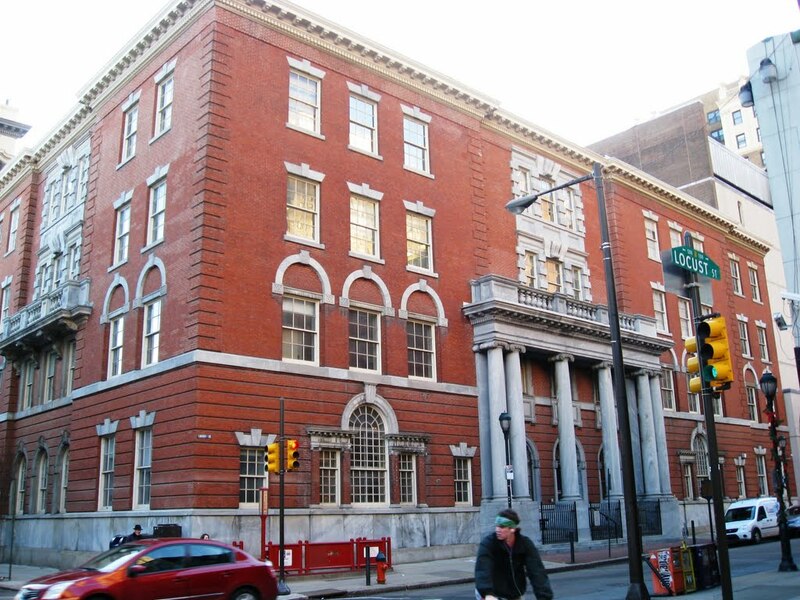 A plaque in Faulkner’s honor is scheduled to be officially unveiled in Philadelphia at 13th and Locust—the corner where he was fatally shot—at a ceremony this Sunday. Keith and Lydia are making their own plans for the future. At Lydia’s request, Abu-Jamal has designed a family crest. Work on a quilt has also begun. Lydia also introduced the idea of family fundraising for an estate in her mother’s name. Migration once again equals familial security, as it was for Edith, who migrated with her brother to Philadelphia from segregated North Carolina in the 1940s. It’s time to move away from the city, Lydia says. © Copyright 2001, 2006 by the National Newspaper Publishers Association and Todd Steven Burroughs, Ph.D. This entry was posted in american history, books, news, newspaper, radio. Bookmark the permalink.